The problems of the Nikon D600 entail a special fund for Nikon of some 13 million euros. 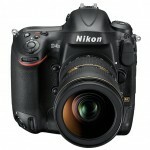 Home / News / The problems of the Nikon D600 entail a special fund for Nikon of some 13 million euros. 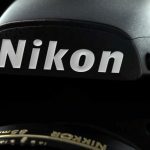 According to sources from Nikon, covering the costs to the known problems of the Nikon D600, although a user may deny it, the majority report it costing Nikon approximately 13 million euros and change. This special fund has been marked as destined to cover the cost of the warranty of the Nikon D600. Of course, this doesn’t include the cost of development, acceleration, marketing and publicity used to launch the Nikon D610 a year and a half ahead of time. After officially recognizing the problem it did not take many months afterward to launch the D610 as a replacement. Neither, do the costs include the loss of profits arising from a lack of trust derived from the problems, one of the most serious the company has had in the last decade. 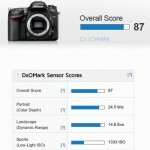 What can you tell us about the warranty reserve for the D600? With respect to the digital reflex camera D600, we announced March 28, 2014that we have allocated 1,800,000,000 ¥ for the warranty reserve to cover the cost of repairs and replacements. We are taking this situation seriously and we will continue to offers users of the special service at same time that measures are taken to restore trust to the Nikon brand. A cost which may be added to any compensation received in the United States corresponding to lawsuits made against the brand Nikon. Even worse is the loss of trust and confidence along with a deteriorating brand image among the sector of digital camera reflex users and above all in the professional sector. Since no brand has escaped, they continued to deny the problems until hundreds of thousands of users reflect their discontent in forums and social networks. Next Samsung will offer one NX30 for free for those who drop the SLR in New York.